Home > News > Derailed Sense: a film about Vic Godard and Subway Sect. Derailed Sense: a film about Vic Godard and Subway Sect. Radio Summerhall celebrates 40 Years of Punk by showing Derailed Sense at Summerhall on 29th July. 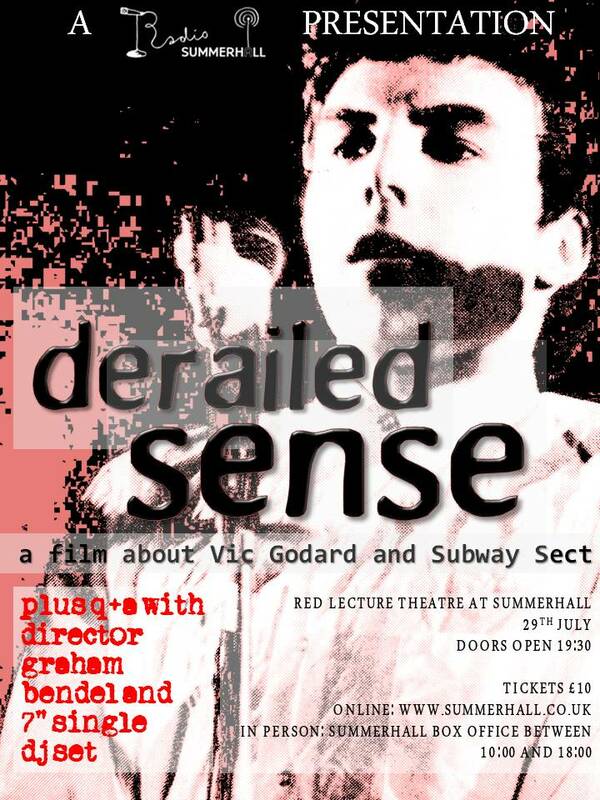 This summer marks the 40th anniversary of the punk explosion and on the 29th July Radio Summerhall is celebrating this landmark by screening Derailed Sense: a Film about Vic Godard and Subway Sect, in The Red Lecture Theatre at Summerhall. In the film we follow singer Vic Godard, as he blazes his own musical trail – amidst an abundance of old photographs and some rare footage – and learn about his predilection for Northern Soul, Tony Bennett and the Royal Mail. This is the Scottish premiere of this, the first ever documentary about this iconic band. Tickets are available from the Summerhall Box Office and are limited to just 80 so early booking is advised. We will have a Q&A with director Graham Bendel (director of Billy Childish is Dead) plus a 7″ singles only DJ set and bar afterwards.